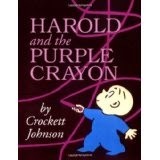 Harold may have a purple crayon. 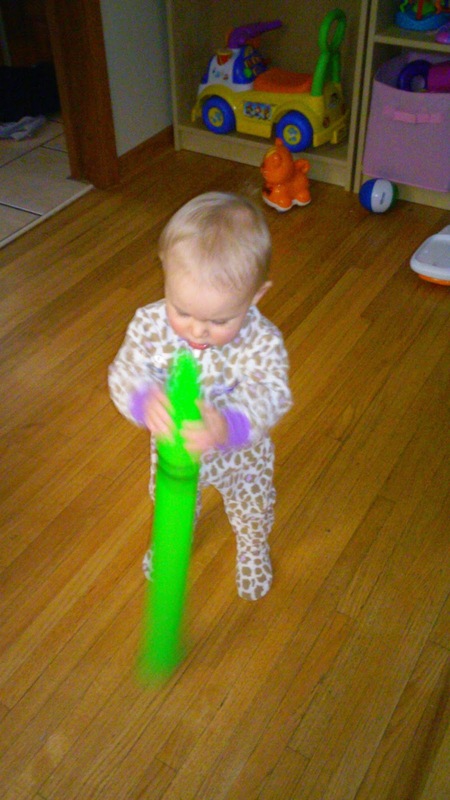 Meet Z and her green crayon. She says hers is bigger so its better. Thanks Echo for the sweet sleeper. If you like my little blog here you should seriously consider checking hers out here. And i figured out my problem with this. Which explains the 2 more boxes of yarn I found today lol. Ok so tomorrow I plan to go buy one more skein. Yes, I plan to buy one but if I come home with more it will be an accident I swear. I have a reason to need one and that is I ran out of the light blue I have been using on G's police blanket and I am not done with the square and I don't have any of that color I swear. I think I have a problem because I am trying to rationalize a purchase of more lol. I am going to call it a reward yea thats it a reward for making is 19 days without smoking. Yup I have a problem lol. She looks so cute in those jammies! Love it! 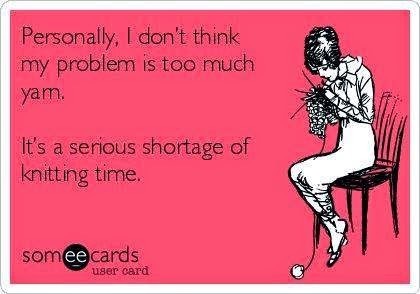 Hahahaha, you are as addicted to yarn as I am to coffee!